A New York Fire Department chief who led the response to the terror attacks on September 11, 2001, has died from cancer related to toxins he inhaled during the rescue efforts. Ronald Spadafora was just 63 years old. 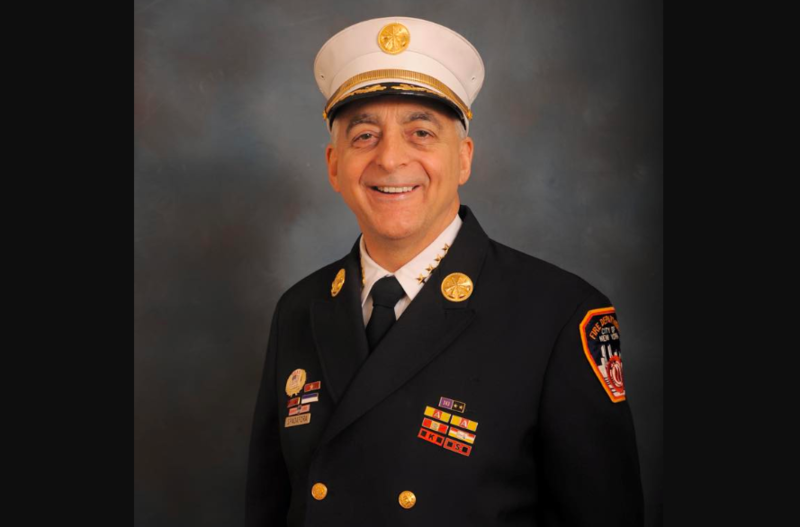 “In his extraordinary career, he fought fires in all five boroughs, improved training for every FDNY member, and as the chief of fire prevention for the last eight years, Ron’s dedication and leadership led to greater safety and protection for millions of New Yorkers,” FDNY Commissioner Daniel Nigro told the New York Daily News. Spadafora was the World Trade Center Chief of Safety for the duration of the arduous rescue efforts that followed the collapse of the Twin Towers. Spadafora was a highly decorated firefighter and a 40-year veteran of the department. Across a career that spanned several decades, Spadafora ran the FDNY’s Logistics Section after a blackout left millions in the dark in 2003. He was also recognized for his important role when Superstorm Sandy struck the city in 2012. According to a FDNY statement, Spadafora was the 178th member of the department to die of illness related to the World Trade Center rescue operation. FDNY paid tribute to the esteemed firefighter in a lengthy Facebook post. Spadafora was diagnosed with acute myeloid leukemia in December 2015. “He was so gentle and so generously helpful in so many ways,” added Spadafora’s neighbor and close friend Amy Tan, who will speak at the funeral service. Spadafora is survived by his longtime partner, Rhonda Roland-Shearer, who was also involved in the 9/11 recovery operations, and siblings Nicholas Spadafora, Sharon Dionisio and Robert Spadafora. Spadafora’s remains are due to be wrapped in an American flag, “just like his fallen brothers of 9/11,” Roland-Shearer said. “Seeing his body wrapped in the flag allows people to experience what we who worked at Ground Zero witnessed,” she said.